Posted in: Horizon Hobby, Radio Control, Team Losi Racing. Tagged: Featured Products. 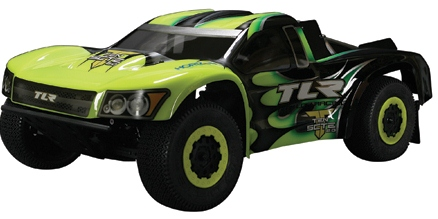 Horizon Hobby has posted their review of the TLR TEN-SCTE 4WD Kit. It is no secret that I love the kits. This is an impressive ride, it corners like it is on rails and seems easy to drive. Horizon Hobby admits that it may have a nose down tendency when jumping, something that should be fixed by shifting the weight and/or the battery around. Hmm my birthday is only a couple of months away. Check out TLR TEN SCTE 2.0 Build to see our previously posted time lapse video build from TLR.